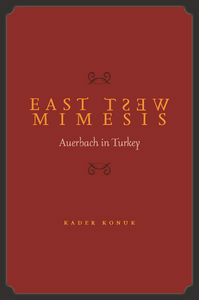 Through an edifying dual perspective on text and location, Kader Konuk's East West Mimesis: Auerbach in Turkey tells a fascinating story about the development of modern Turkey just as much as it does about Auerbach's classic work. Immensely readable and engaging, her book is distinguished by extensive archival research into a pivotal phase of modern Turkish cultural history, yielding rich insights into how this period of transformation impacted Auerbach's groundbreaking work of modern comparatism. East West Mimesis deepens our understanding of how Turkey's project of strengthening its ties with Europe in the 1930s opened Turkish culture to its classical heritage, at the same time that its reclaiming of Western secular humanism as a shared legacy served to obscure the problematic histories of racial minorities in Turkish society. Simultaneously, Konuk significantly re-positions Auerbach as a critic who, far from absorbing Turkish transformations of secular life into his writing, decontexualized the cultural and religious environment in which he was located. She provocatively argues that Auerbach aimed to recover a lost humanist world rather than synthesize it from secular Turkish intellectual life. Konuk’s illuminating study of Auerbach's ambiguous relation to Turkey makes a valuable intervention in challenging the standard narrative about Auerbach's exile. Konuk offers a model of comparative literary scholarship that attends keenly to the locations in which major critical works are produced, restoring the histories of those places even as they are displaced by concerns that appear to be far removed from the tumultuous changes occurring at the scene of writing.